Twenty years ago, the world was introduced to Wayne's World on the big screen, Bill Clinton was elected president, and the Nissan Altima debuted. OK, in the pantheon of world events, the birth of the Altima probably flew under the radar. But for Nissan, the car's a big deal, since it's the company's mid-size entrant. And for its 20th birthday, it got a full redesign. First unveiled at the 2012 New York International Auto Show, the 2013 Nissan Altima will likely retain its title as the best seller in Nissan's lineup. 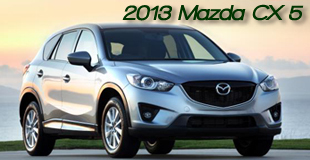 For 2013, the company promises better fuel economy--up to 38 mpg--and more attractive interior and exterior styling. We'll be the judge of that. First, some basics. The biggest news here is the redone styling and the addition of some new tech. The 2.5-liter four-cylinder engine gets seven more horsepower, up to an estimated 182, and the 3.5-liter V-6 carries over with 270 estimated ponies. Nissan has redesigned 70 percent of the components in its continuously-variable automatic transmission (CVT) with the aim of improved fuel economy and acceleration. To continue the review, click here. We were bombing away at speeds well north of the speed limit in the Texas Hill Country west of Austin (we'll decline to name the speeds, since the statute of limitations has yet to expire) in a 2013 Dodge Dart when a road runner darted (pun fully intended) across the road in front of us. Before we could even think about braking or swerving, the bird was already safely on the other side of the road, leaving us feeling like Wile E. Coyote. We mention this because the late Plymouth brand once sold a car dubbed the Road Runner, and another Chrysler name from that era--the Dart--has been resurrected by Dodge. So even though the original Dart and Road Runner were different animals, the coincidence was not lost on us. It seemed a fitting moment for our time behind the wheel of the latest car to use an old name. Like the original Dart, the 2013 iteration is a compact. Unlike the original, it has foreign roots, based off the Alfa Romeo Giuletta platform. This makes the Dart the first Dodge to dig so deeply from Fiat's well (Chrysler and Fiat partnered up in 2009 as part of the former's federally managed bankruptcy). More importantly, Dodge needs a competitive entry in the compact class--to say the late Caliber compact was unloved is kind of like saying that the Titanic had sprung a small leak--to keep up with its foreign and domestic competitors. That's especially true now that rising fuel prices and shrinking household budgets have driven more Americans into smaller cars. To continue the review, click here. sound capabilities from just about any favorite device one brings that can mate with the C-MAX for concert venue excitement. Those are among reasons the C-MAX dominated voting in the 2013 International Truck of the Year competition, and won the whole enchilada in the process. And which we, at Road & Travel Magazine, announce with unabridged pleasure. After all, we consider this truly a multi-activity vehicle or MAV (Ford's term). Maybe Maximum Utility Vehicle or MUV would work in acronym land as well. After all, Ford alluded to that in naming it C-MAX. To continue the review, click here. Think Subaru. Does the idea of slogging through heavy snow come to mind? How about being trail ready on an adventurous trip home from work in fog laden fall after dark. Subaru's native all-wheel-drive character has earned it that kind of confidence among its traditional buyers – health care workers, school teachers, professors and other professionals, perhaps a few grizzled movie actors – who for years have bypassed any other vehicle that didn't wear the six star emblem on its snout. So is a gussied up 2013 Subaru XV Crosstrek something you would consider? We mean, does “tangerine orange pearl” sound like a color that fits a Subaru enabler image? We caught our first glimpse of the brand new Crosstrek at the New York International Auto Show last March, then when viewing it in the above mentioned splashy dress found it ignited a “gotta have” itch. That seemed a little out of character for those of us more accustomed to the underlying mechanics of getting around no matter what's happening underneath weather wise. I mean, we've not really had an instance in the past where one of Subaru's offerings engaged the drool factor. This one did. Our history with driving Subaru cars at Road & Travel Magazine has been harder edged, one of slamming a WRX rally version into the correct gear to plow through enough sand to qualify as a mini dune. An adrenalin rush response, yes. Eye candy? Not exactly. So what changed? To continue the review, click here. There's this song that's been around for awhile you've probably heard calledAnticipation. Something about “keepin' me waitin'” and such stuff we think most folks can relate to. We also suspect it's been a theme song for BMW aficionados who've breathlessly waited for launch day to arrive. 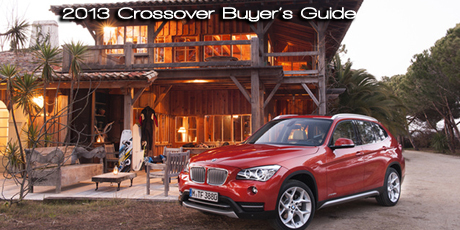 If you have a 2013 BMW X1 sports activity vehicle in your sites, wait no more. The newest, smallest crossover -- also known as “SAV” (for sports activity vehicle) in BMW speak -- has arrived. And we think Carly Simon would love it. We do. At first glance this is all BMW, from the signature double kidney grille framed with winged headlamp housings to the inherent grunt feel it exudes even when standing still. While finally reaching American shores after satisfying BMW addicts in foreign lands, it takes its proper place in the local BMW lineup and positions itself as the elitist version of a compact crossover against such rivals as newly redesigned Acura RDX, Ford's Escape, and other small, multi-tasking CUV people pleasers. It hasn't be missing for a lack of interest, but because BMW gave the Leipsig, Germany-built vehicle world-wide exposure before making it available to American buyers. With many Americans now trending toward smaller vehicles, we're finally at the head of the list. To continue the review, click here. 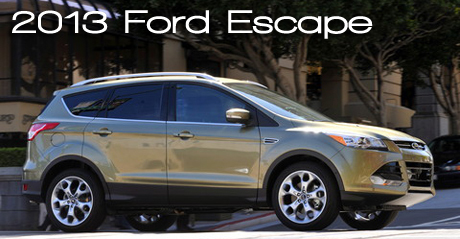 If you're a 31-year-old unmarried female named Carrie who lives in the city and leads an active lifestyle, Ford thinks it has found the perfect vehicle for you -- the 2013 Escape. OK, fine, we're paraphrasing what a Ford engineer told us about the Escape's American target audience (whereas in Europe, Ford is targeting families, since the higher gas prices on the Continent cause people to ride together more often). But that's the demographic the company had in mind as it redesigned the 2013 Ford Escape, which represents the brand's entry into the small crossover SUV segment. Carrie isn't the only one who fits Ford's profile of a potential Escape buyer. Young couples and empty nesters fit the bill, although Ford will gladly accept your payments no matter who you are. And really, the Escape will find a broad appeal, at least based on our first drive impressions, which we formed while attacking the hills north of San Francisco. We'll get to those, but first, some basics. To continue the review, click here. In the hills of Texas near the Austin suburb of Dripping Springs, we're taking Mt. Gaynor Road to push the throttle on a new made-in-America compact sedan for the Dodge brand whose structure, suspension and steering mechanisms come from Italy's Alfa Romeo Giulietta hatchback through Dodge's Italian corporate parent, Fiat. Badged with a vintage nameplate of Dodge's entry-level vehicle produced from 1960 through 1976, a Dodge Dart of 2013 scoots down the road with strong torque flowing from an optional turbo-charged four-cylinder engine that's also shared with the Alfa. Dart's exterior design features smooth lines flowing over a wedge-shaped body with the canted front hood and raked windshield tipping to the extreme to enhance aerodynamic efficiency. To continue the review, click here. It's the ideal venue to show off the taut suspension tuning and sporty handling characteristics of a new-from-scratch compact-class CUV for Mazda. Designers from Mazda -- a company steeped in the production of sporty cars like the MX-5 Miata roadster and RX-7 hatchback -- cast this wagon on a new rigid unibody platform with front-wheel-drive orientation, then stocked it with lively independent suspension elements and crisp steering to fashion a ride quality that's smooth and comfortable for passengers yet also responsive. To continue review, click here. Bruce Springsteen's “Born in the USA” didn't exactly kick off the “Made in America” rebellion of the last few years, but it sure has gotten its share of “likes” in relation to it. It also seems to have caught the attention of those wanting to make sure “homegrown” doesn't get lost on the new car playing field. A new conversion? How about the 2013 Mitsubishi Outlander Sport crossover utility vehicle that also took its initial bow as a Limited edition last month in the California country that often has dismissed American built vehicles for those from across the ocean. It's not just domesticating the newest version of the Outlander that is catching attention. This compact brother of the seven-seat Outlander also scores in a couple of American mandates: price and mileage. Here's how. To continue the review, click here.